Simply uninstalling the app in your Shopify apps section is enough. Click on the Trash can to uninstall the app. If you'd like to completely remove our code please locate and remove the following line in your layouts/theme.liquid file. 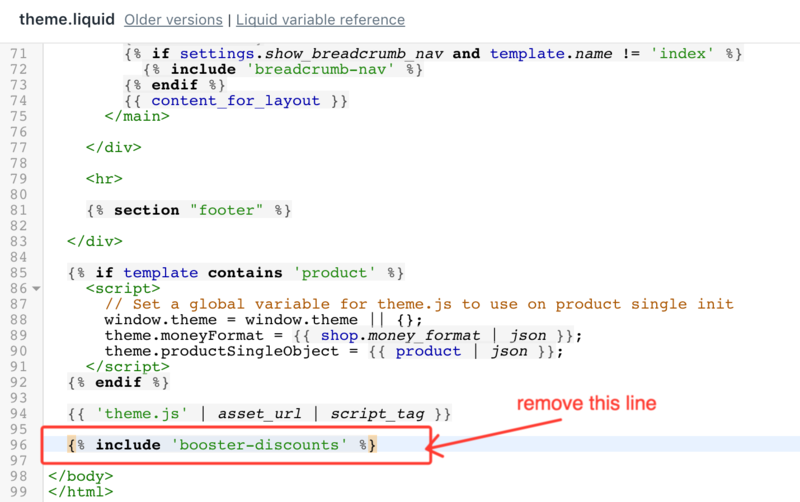 You can also delete the snippets/booster-discounts.liquid file if you wish. If you need any help, please click on the "Contact Us" below!